Yesterday there were a few birds on the spray fields with one Steppe Grey Shrike and an Isabelline Wheatear being the best. The percolation pond had quite a few good birds including a few waders of which one was a Dunlin. As I was trying to get close to photograph the Dunlin I flushed a group of waders of which three where snipe. Two were Common Snipe but the third was a darker and apparently slightly larger Snipe. My thoughts quickly turned to Great Snipe as there was no pale trailing edge to the wing and no white showing on the belly. The birds flew across the pond and landed on the only patch of muddy sand, whihc was fortunate as in that position I could use the 'scope' on them. The dark snipe was quite obvious and was the bird that remained in the open the most so I got good views, which unfortunately turned out to be of an oiled Common Snipe and not a Great Snipe. A few other waders were present with the Common Snipe and Dunlin on the muddy edge and these included one Green Sandpiper, two Wood Sandpiper and a smaller bird that had yellowish legs and looked like a cross between a Temminck's Stint and a Wood Sandpipier. 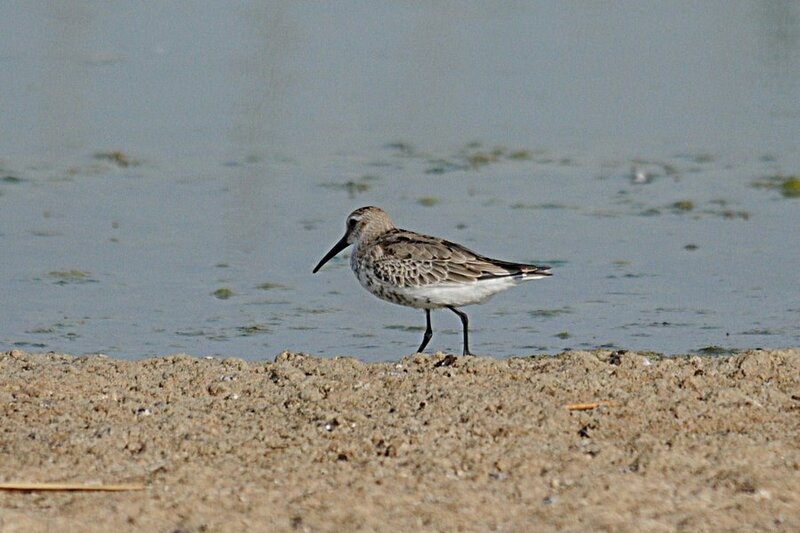 After getting closer and obtaining good views trough the telescope the bird turned out to be a Long-toed Stint a vagrant to the Eastern Province of Saudi Arabia where there is only one record mentioned in Birds of the Eastern Province of Saudi Arabia by Bundy, Connor & Harrison Oct 1989. 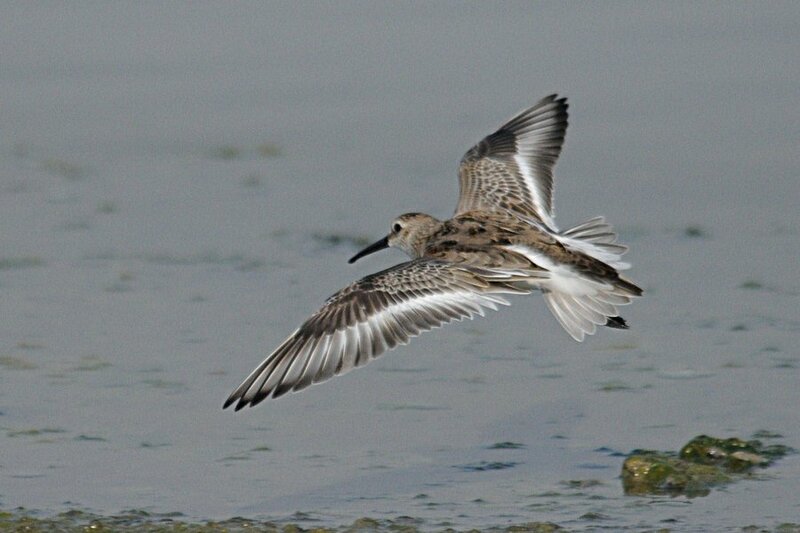 This record was of one at Abqaiq Lagoons on 28th August to 4th September 1977. These records show that the species is commoner in the south of the Arabian Peninsula and rarer as you go further north. Other good birds seen today on the 'patch' included a Western Marsh Harrier quartering the reeds of the pond which is only the second one I have seen on the 'patch' and the first this autumn. There was one Cattle Egret, one Little Egret, one Indian Reef Heron, six adult Black-crowned Night Heron, one Garganey an 10+ Yellow Wagtail. All the duck from the previous few days appear to have moved on. There was a Masked Shrike and a Rufous-tailed Scrub Robin feeding around the busy area outside my office window at lunchtime.